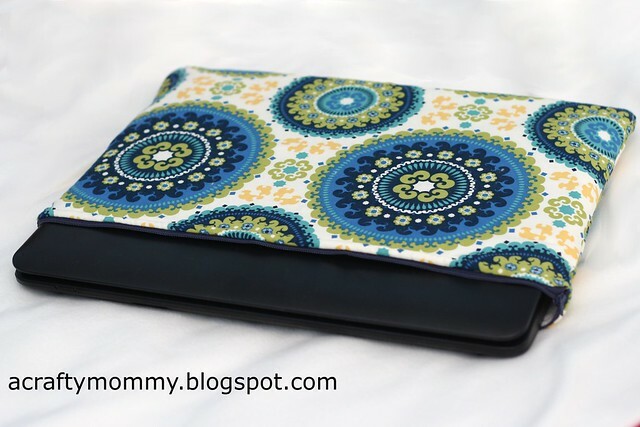 I made another project for my sister today, a zippered laptop sleeve. 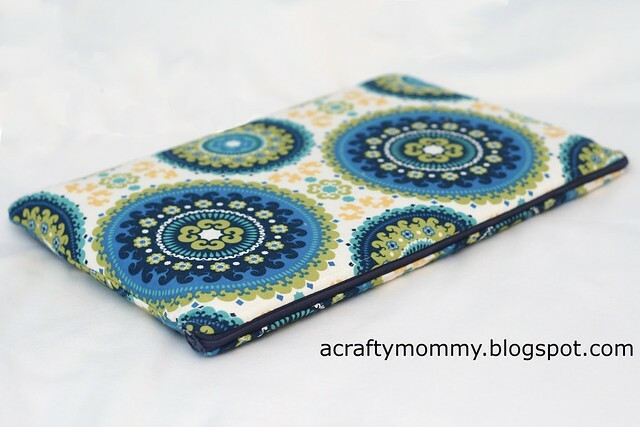 Did you see the Kindle Fire case I made her yesterday? Well in addition to her new Kindle, she got a new laptop and it needed a home too! 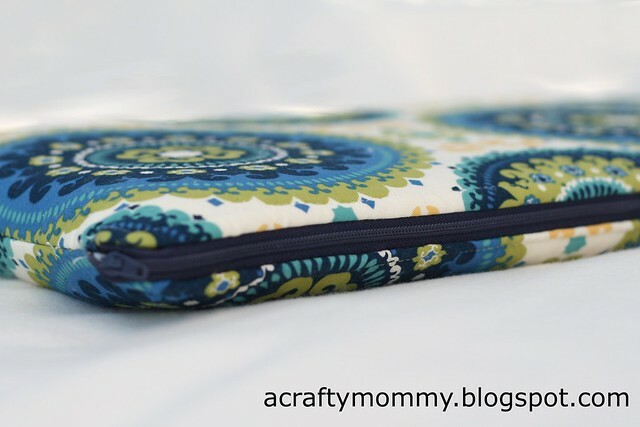 This project was a bit more time consuming than the Kindle case because I used a zipper, but I wanted the computer to stay snugly inside its case. Skill level: Intermediate, most of it is pretty simple. Fabric for the outside, how much depends on how big your laptop is, my sister bought me one yard of this material but 1/2 yard would have been more than enough. Zipper, the length depends on how big your laptop is, My sister's was about 17" on its longest side and I used an 18" zipper. Zipper foot for your sewing machine. 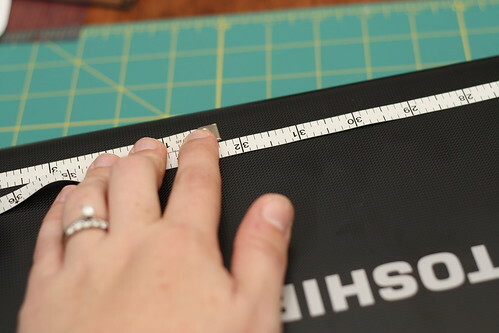 Start by measuring your laptop. 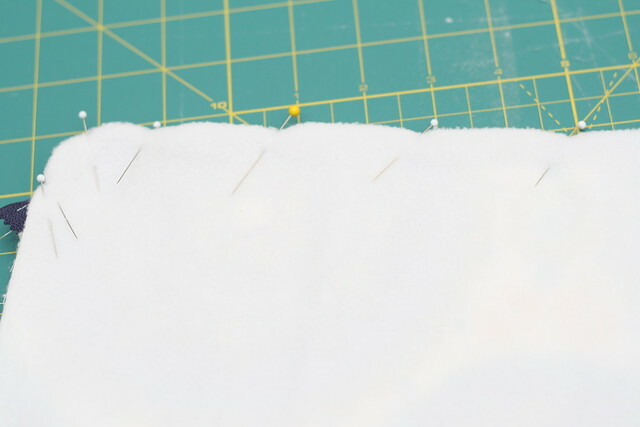 Measure all the way around because you want to account for the width of it too. Jenny's laptop was about 32" one way and 21.5" the other way. 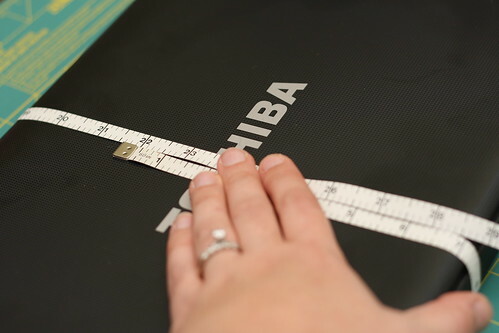 Then I divided those measurements by 2 since I will make my case with 2 pieces. Then I added 1.5" for seam allowances and so the case wasn't too snug. 32" / 2 + 1.5" = 17.5"
21.5" / 2 + 1.5" = 12.25"
Next I cut 2 rectangles that measures 17.5" x 12.25" out of bot of my fabrics and my batting. 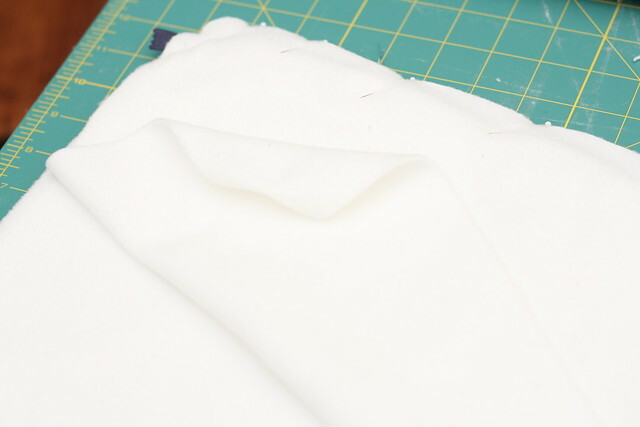 I used a basting spray to attach the batting to my outer fabric while I sewed so it didn't slip. 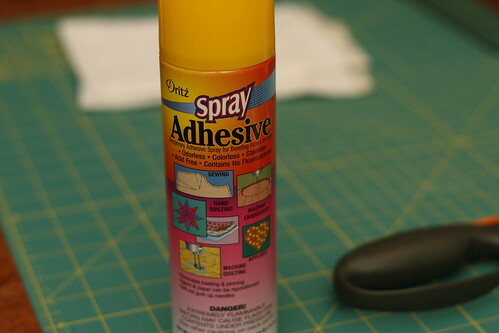 If you don't have a basting spray, you can use a basting stitch all the way around. I wanted the corners rounded like the computer so I found something small and round to trace, I used the top to my basting spray. I traced the curve on all four corners of my lining pieces and my outer pieces and cut along the curve. 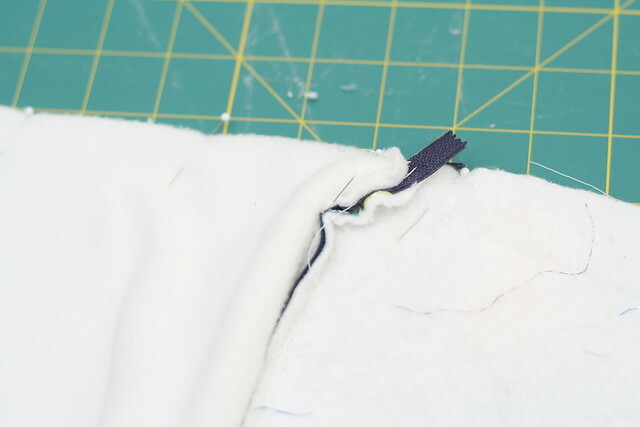 To attach the zipper, I found the middle of on of my outer pieces and the middle of my zipper and pinned them right sides together with the zipper teeth pointing down. Then I pinned the zipper in place all the way across the top, it is easier to go around the corners if you cut little slits in the zipper. 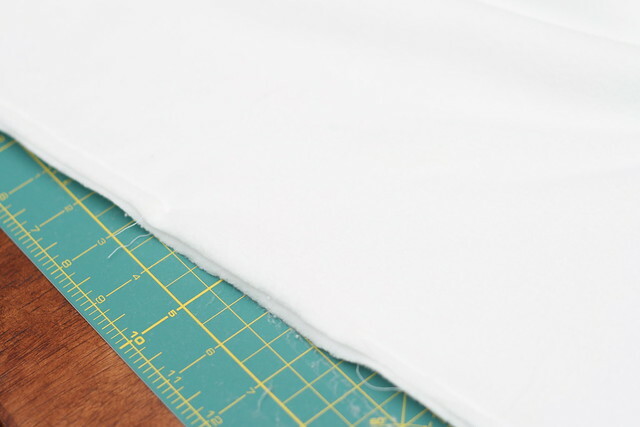 I used my zipper foot and sewed a basting stitch to keep my fabric and zipper together for this next step. 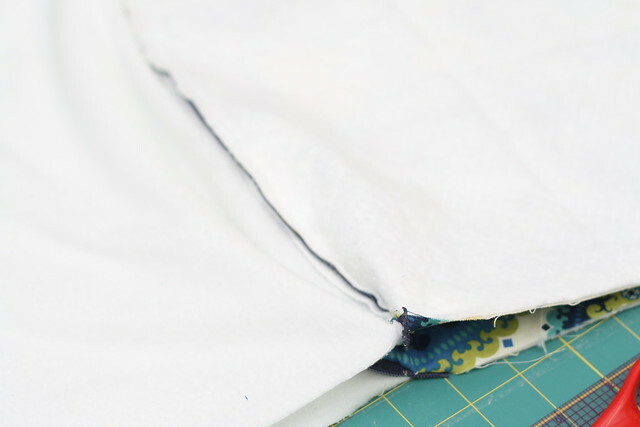 Place the lining fabric right side down on top of you outer fabric and zipper, sandwiching your zipper in the middle. 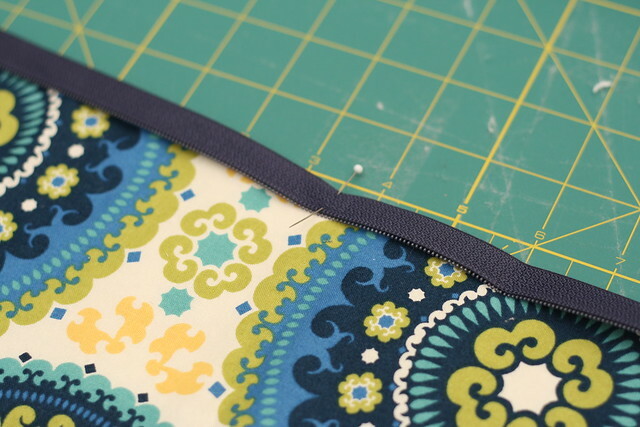 Pin along the top and sew in place using your zipper foot. Flip your pieces right side out. 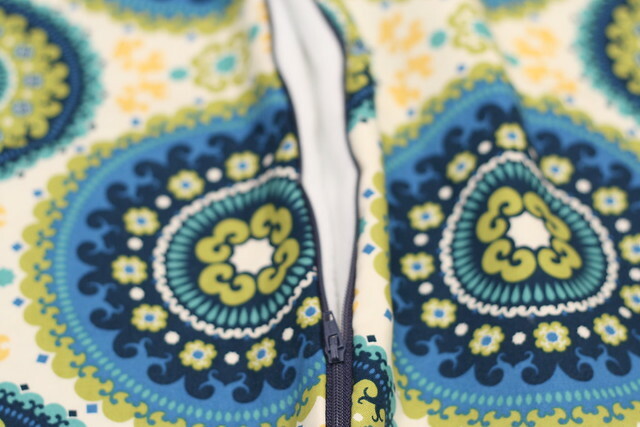 Close your zipper, place your other outer piece right side down on top and pin the other side of the zipper along the top. Again snip the edges to turn the corners. Baste your zipper in place. 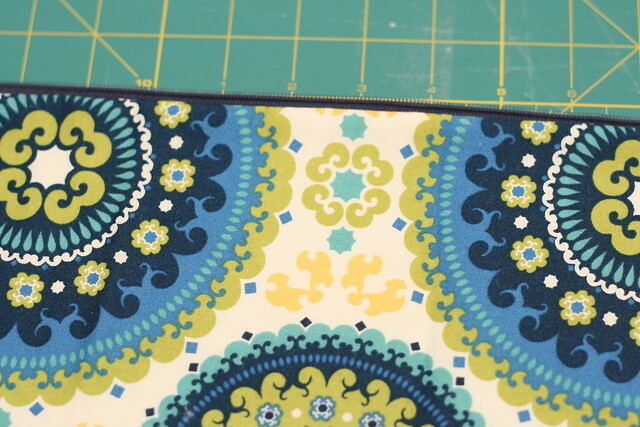 Place your other lining piece on top and pin it in place, This time it will be sandwiching your zipper and the fabrics for the other side of the case. Sew along the top. When you get about half way across the top, reach inside and unzip your zipper past the place you have already sewn to. 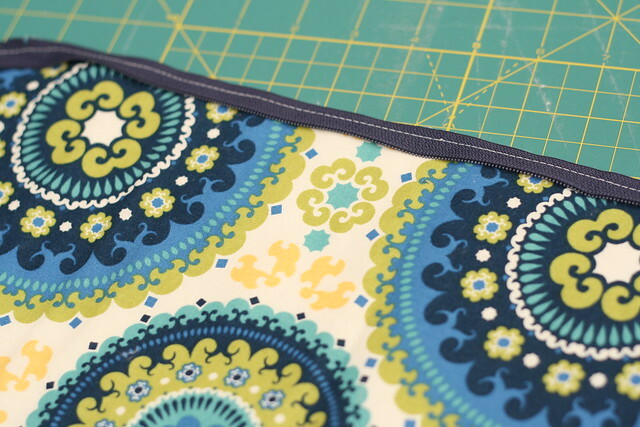 This will get the zipper pull out of the way so the fabrics lay flat. Flip everything right side out. you should have both sides of the case connected by the zipper in the middle. ***Make sure your zipper is unzipped some. This is an important step, if you forget to open your zipper you won't be able to flip the case right side out when you finish! Flip your case inside out again with the outer pieces together and the lining pieces together on the other side. Pin along the edges make sure your zipper is lined up and the little zipper tails are pulled out. 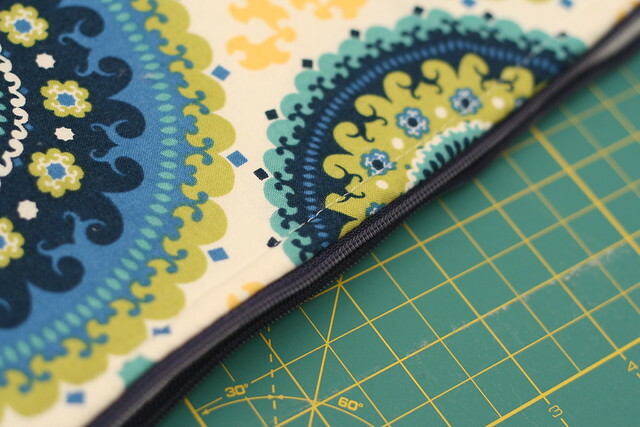 Starting at the bottom of the lining, sew around the case. I used a walking foot for this part, if you don't have a walking foot, your regular presser foot will work fine. Be sure to leave a few inches open at the bottom of the lining. 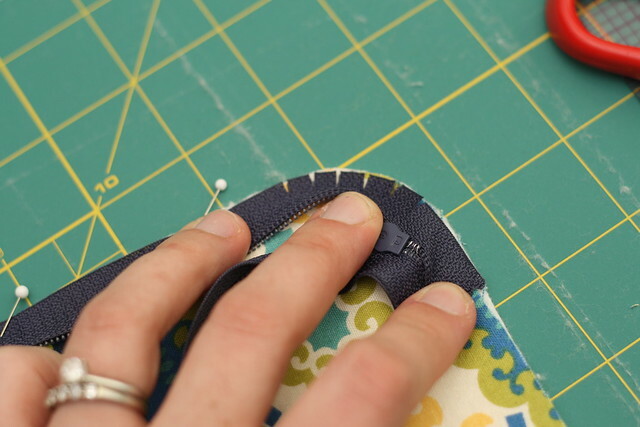 It can be a bit tricky sewing around the zipper, make sure the curve from the top part of the case is out of the way when you sew. Flip your case right side out and close the hole in the lining. You can hand stitch it if your prefer, I just tucked the unfinished edges in and ran it through my machine, it is on the bottom in the inside, no one will ever see it! The tuck your lining down inside your case. 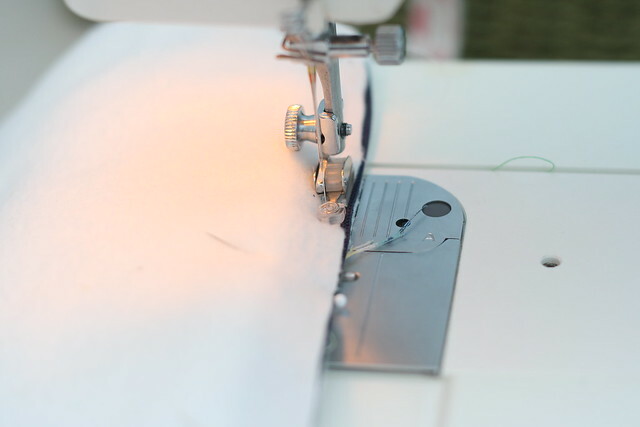 The last step it to top stitch around the zipper. This proved to be the most difficult part for me! 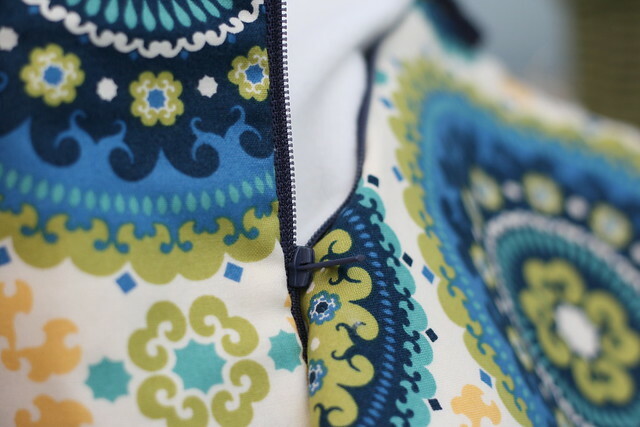 If it makes you want to pull your hair out, you don't really have to do it, I wanted to just to make sure the fleece didn't snag in the zipper. I just made this, and was so excited I finally used a zipper! However, it was smudged with something, and so I'm wondering how I could wash it? Or at least just remove the stain, which I'm pretty sure is chocolate. I am glad the tutorial helped! Bummer it got stained! You could try to just clean the one spot. 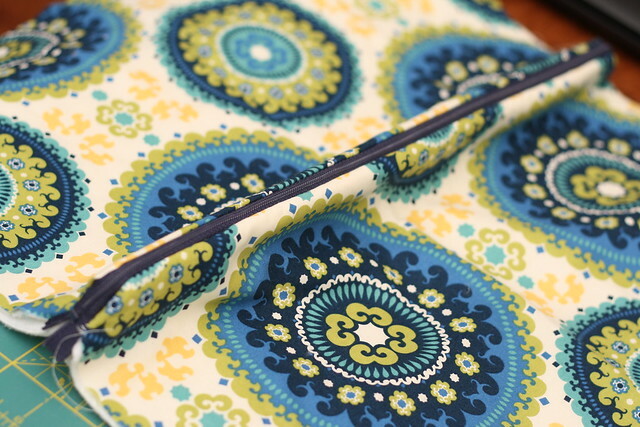 What kind of fabrics did you use? You could probably also just throw it in the washer. 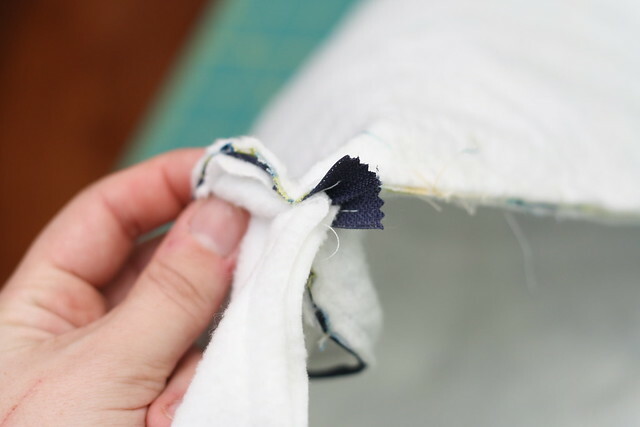 Quilting cottons usually shrink about 4% in the washer, which could be a problem if your case fits snuggly. Maybe do a gentle wash and lay flat to dry. Also, if you make another in the future, you can wash your fabric in the washing machine to shrink them before you cut your pieces. That way they will be pre-shrunk and you won't have to worry about tossing them in the washer after you have sewn. Your tutorials are some of the best and clearest out there. Thank you! Joann Fabrics! I am not sure if they still carry it, but I did see it in an orange last time I was there. 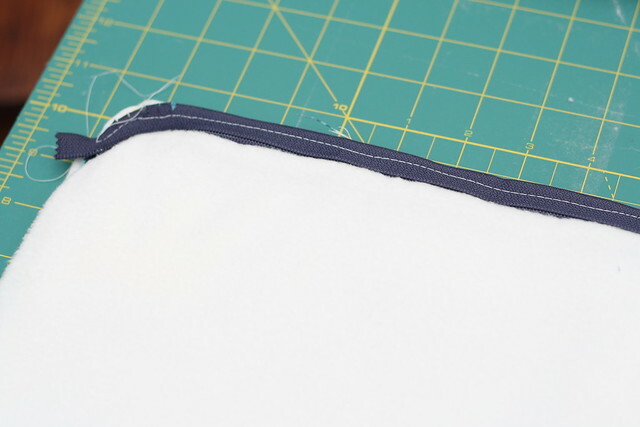 Quick question, were the seams sewn at a quarter inch seam allowance, or how much of the added 1.5 inch was taken for the seams? On the off chance that you choose to purchase a PC, and you will be bearing it instead of having it sit on a work area as a substitution for your old work area, it is imperative that you get some great insurance for it. It is a smart thought to purchase both a hard case and a workstation sleeve, I find this very good website for the Data recovery Scottsdale, If you want you can visit this site.
. If it will just be an accessory used to check mail,Thomas Gray watch movies and surf the web, then those don't go that high on the price range and you could probably get away with a 400$ model. When I get to this step I end up sewing the bag shut. What am I missing and what am I doing wrong? Appreciate the help and insight! OMG I just made this and I am soooo happy with it! My second ever zipper and the first one I’m pleased with! 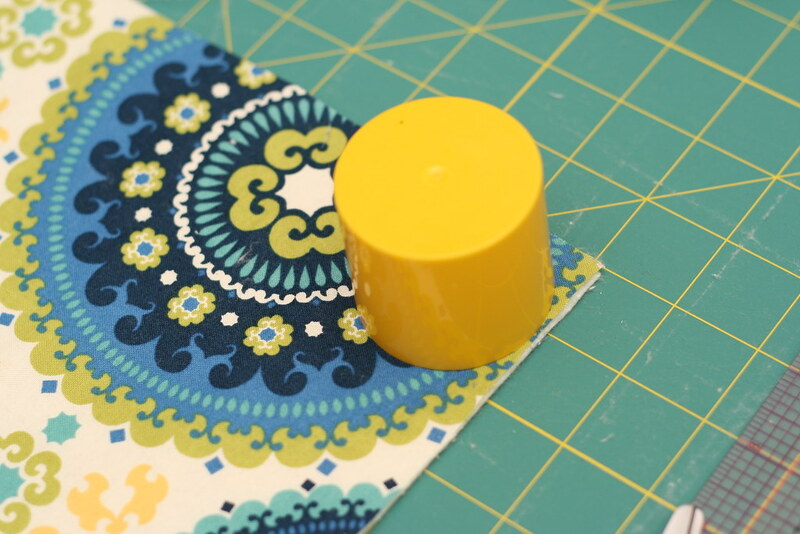 I’m a beginner sewer really, and I pinned this in my ‘difficult sewing projects’ board but I was so surprised how easy it was. Thank you for a great tutorial!